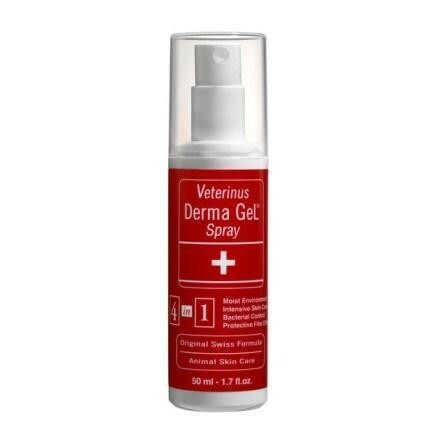 Veterinus Derma Gel Spray 50ml is the number one herbal hydrogel spray, for intensive and rapid wound care, providing a protective barrier against contaminants and insects for your pets. The number one herbal hydrogel spray, for intensive and rapid wound care, providing a protective barrier against contaminants and insects. Backed by extensive research, helps to prevent overgrowth of scar tissue and favors hair regrowth in original color. Unique pump dispenser keeps the gel free from contamination. Safe in competition, gestation and when licked. Is there a gel type? When will you wear it? 젤타입은 없나요? 언제 입고 되나요? 현재 gel spray타입만 있습니다. 입고는 미정이라고 합니다.